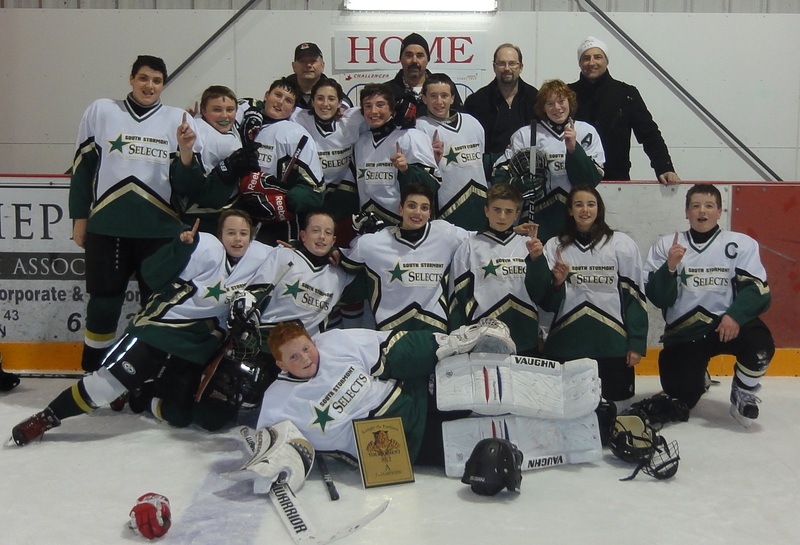 The Bantam C team won a tournament that was held over the Holidays in Kemptville on Dec 30. The team played against South End Warriors winning the first game 9:1. The second game was against Kemptville Panther C2 winning the game 4:1 bringing them to the Final A Championship game where they played against Kemptville Panther C1 team winning the championship game 5:1. Overall it was a long day but worth their excitement at winning. We are very proud of them and how they worked as a team. This entry was posted in Team News and tagged Bantam, C House, Champs, south stormont minor hockey, Tournament. Bookmark the permalink.